A home explosion that killed a family of four in Ohio is now being investigated as a murder-suicide, officials say. According to records from the medical examiner, a gas can was found next to the father's body. The home in Northfield, Ohio exploded around 9 p.m. Monday. 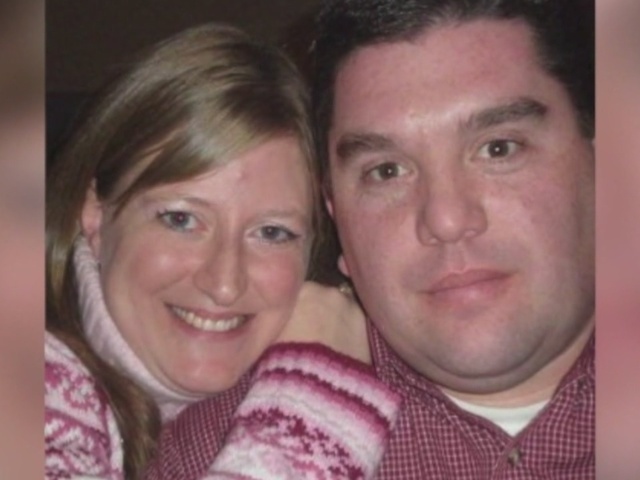 Two adults, Jeff Mather, his wife Cindy and their two young girls died in the explosion. The bodies of the girls were found near their mother. Mather's body was found in a different part of the home. Records show Mather was recently having problems with his work at Swagelok, a fluid systems company. He had worked for the past 20 years. Swagelok released a statement Thursday saying, "This is a tragic situation, and we extend our deepest sympathies to the friends and family. We are deeply saddened by this event. Our focus is to support our associates through this difficult time." Records also show Mather tried to commit suicide in early December. According to a Cleveland Metroparks Ranger Department report, two officers were dispatched to a local park on Dec. 2 for a report of a man having psychiatric issues. The person who called police said the man had a shotgun. When officers arrived they found Mather, who appeared to be very upset and was crying. The officers spoke with him and recovered the shotgun near the shoreline of the lagoon. It was loaded with one slug round. The report said Mather told police he had been suffering from severe depression for a couple of months, but he was not receiving treatment. He said that day he decided to drive to the park and kill himself with the shotgun. He said he walked to the shoreline, loaded the gun, and even placed the muzzle against his head. Every time he saw a park visitor walk by, he would lower the gun. He told police just before pulling the trigger he prayed for help, when a visitor approached him. The caller stayed with Mather until officers arrived at the scene. Mather was later taken to the Southwest General Health Center for evaluation. Cindy Mather's father tried to call her three times the day of the explosion, but was unable to reach her, according to the records. Her sister had also texted her a few days before the explosion. During that conversation, Cindy said things were not going well with her husband. The Division of State Fire Marshal's office reported Wednesday that the fire was being investigated as arson. At the time, the Summit County Sheriff's Office said the arson incident was an isolated one.